A lot of realizations have been made over the past year. The recession has opened investors’ eyes to the previously hidden dangers of investing in big banks and betting big. This year, everyone is hoping to start on a clean slate on the right foot. But getting a good start takes more work than simply wishing on it. For starters, it might be a good idea to look back on 2009 to avoid the same pitfalls in the future. Everyone looks to major financial analysts for predictions and guidance. Relying solely on them or basing important decisions based on their forecast can costs you a lot of money if you bet wrong though. 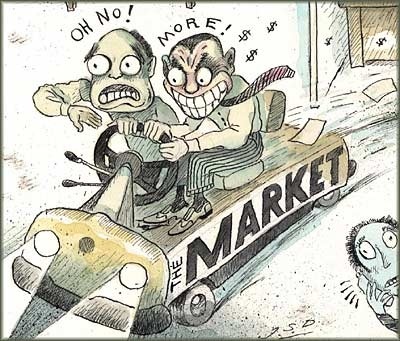 Merrill Lynch, with no idea what is going on behind the scenes, reported that “The global economy will continue to grow with no sign of significant cyclical slowdown.” This statement was released on June 8th, 2007. A few months later, Lehman Brothers went down. Right now, analysts are predicting a 10-20 percent rally for 2010. The risk is for you to take if you still want to rely on them. Most investors rely on the S&P 500, Dow Jones, and Nasdaq to get a feel of the US market. Naturally, these indexes are critical but it may sometimes help to take some time to look at the DJ US Total Stock Market Index. From its low in March to October 15, 2009, this index gained 4415 points. After that, it inched up to a mere 183 points. This movement has a significant effect on investors’ psyche. While the government bailout was seen as a necessity, its consequences will have a long lasting effect on almost every investor’s finances. Savvy investors can still make a lot of money by spotting opportunities. But for the most part, they will lose because of over pessimism or simply bad timing.